The Gearhouse Group has recently completed the 2015 Bidvest Awards Gala Dinner. This is an annual event which the group has been involved with for 8 years and each iteration brings a new opportunity for the Gearhouse team to stretch their imaginations and creative technical expertise. The spectacular virtual LED set for this year’s production of Bidvest on Broadway was no exception, and again took the event to new heights of technological and theatrical innovation. In keeping with the event in recent years, the production team for 2015 was once again headed by show directors , creative directors, producers and choreographer Debbie Rakusin and David Bloch, who are always given the same mandate by the charismatic Chief Executive of Bidvest, Brian Joffe – to come up with an innovative, captivating, boundary-pushing show. Gearhouse South Africa once again designed the event’s lighting, visuals, sound, as well as setting and implementing the technical parameters, working closely with Rakusin and Bloch. Gearhouse luminary Tim Dunn is renowned for pushing the envelope on his shows in terms of aesthetics, imagination and technical ambition and this event was another example of taking this corporate event to the next level. 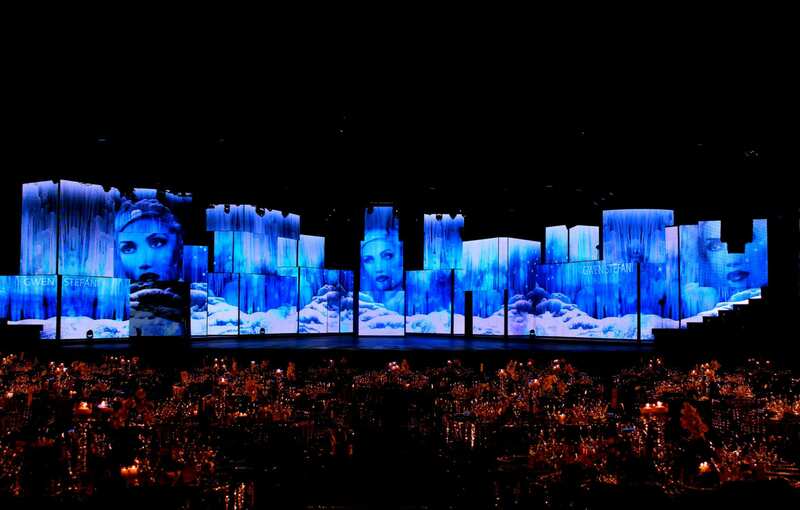 Graphics, video and full 3D on an amazing stage set comprised of 1001 LED panels meant that Tim and the lighting and content teams could go to town – in this case, New York – providing all the backdrops, scenery and virtual environments necessary on a set which never physically moves, but which ultimately brought the Show and Creative Director’s vision to life in a very innovative way. Based on a very precise brief by Rakusin and Bloch, Dunn and the Gearhouse team provided the ultimate virtual set for this year’s show. 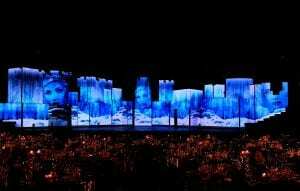 Graphics, video and full 3D on an amazing stage set comprised of 1001 LED panels meant that Tim and the lighting and content teams could go to town – in this case, New York – providing all the backdrops, scenery and virtual environments necessary on a set which never physically moves, but which ultimately brought Rakusin and Bloch’s vision to life.